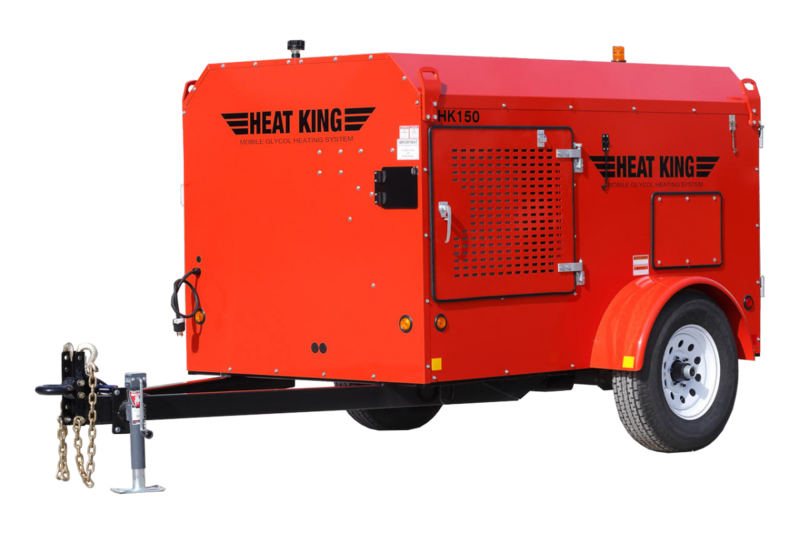 Tamarack Industries presents the Heat King Mobile Glycol Heating System – a faster way to prepare foundation sites and cure concrete in cold weather. Heat King also saves on labor, speeds preparation and lowers energy costs by as much as 80%. A powerful 150,000 BTUH burner. By using a coil for the heat exchanger, we are more durable and rugged than the competion who use boilers meant to be stationary.